I arrived in California 0n the 23rd of September after 2 days of aircon, cramped seating and horrible airline food. I was really happy to be in California and to be greeted by what initially looked like 2 Mexicans, but was just team TK, that had been soaking up the hot Californian sun for the last month. 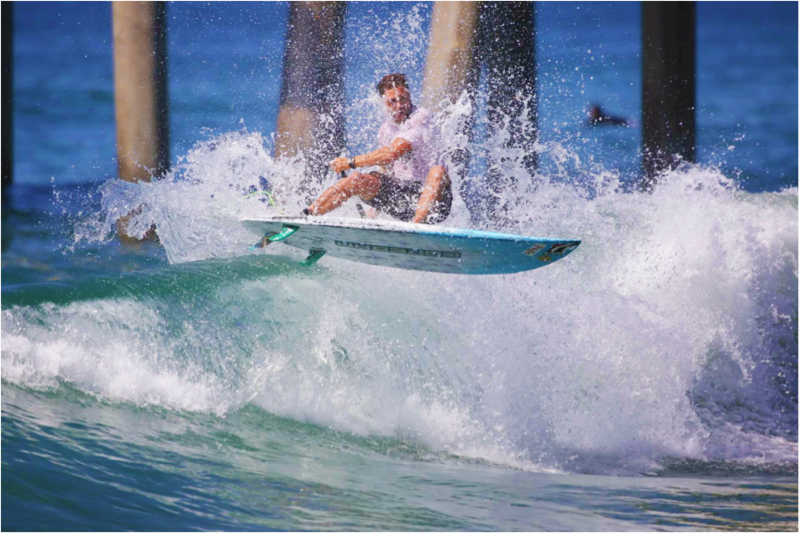 Jumping into the truck (big American car), which had enough space for a 14 foot race board and required a step ladder to get in to, we headed down the highway to Huntington Beach, while catching up on the last month’s events and competition while living and traveling the US. We lucked into an awesome spot, walking distance from the contest site for a really good price, considering the rand/ dollar exchange rate at the moment. I got my hands on a local craft beer for the evening, but just one as it was the same price as a 6 pack back home and was all my wallet could afford, it didn’t compare to a Bings Bru. Up at the crack of dawn, we jumped on our bicycles with our boards on the bike trailer and headed to the beach for my first surf. 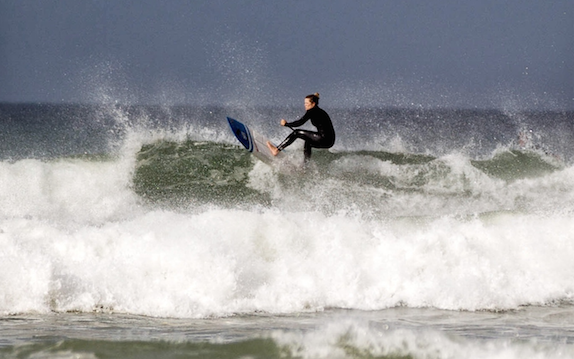 The water was warmer than Durban and conditions were super glassy. 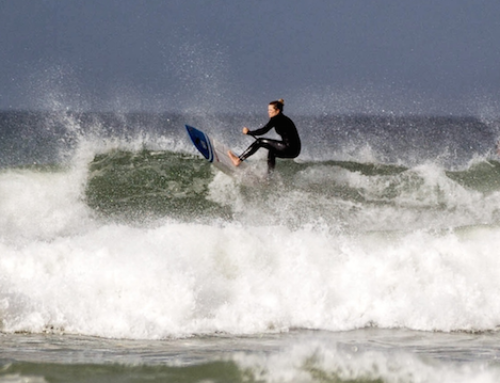 Some fun peaks all the way down the beachfront, we managed to find a peak to ourselves and had some super fun waves until the predictable afternoon onshore came up. Preparing myself for the wildcard trials, I got a message that I’d been given a wildcard into the main event. This was a relief as the wildcard trials were stacked and the waves were predicted to be small meaning that anyone could win. The wildcards were decided in tiny conditions and included, multiple Longboard world champ Colin McPhillips and Mexican small wave expert, Felipe Rodriguez, who went on to take out Mo Freitas in his first round heat. 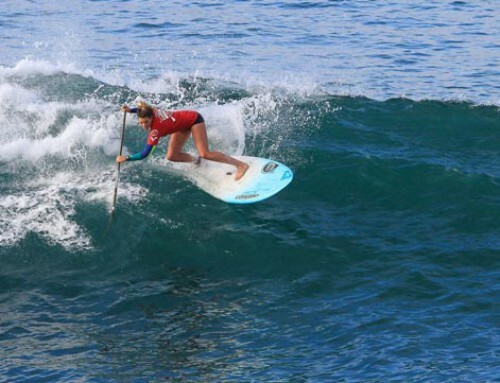 My heat was the 2nd last of round 1 and with slow conditions, I knew it would be crucial to get an early wave. Up against current world number 2, Zane Schweitzer and Frenchman Alex Deniel. Alex lead through most of the heat with some mid range scores, I took the lead midway through the heat but it was Zane who managed to narrowly clench the win in the end. Round 2 I came up against Australian Keahi de Abboitz in a man-on-man heat. The waves turned on and it was a back and forth tussle for first place as we exchanged wave for wave. He got a 7 early on, followed by an 8.33 while I put together to high 7’s. I managed to utilize my priority to keep him off a few waves and stop him from getting the score in the end. It was one of the highest heat totals in the end and I was super stoked to move on to round 3. My Coreban Platinum, with the prominent double concave went really well in these conditions, flying over the flat sections and making the inside connections easily. This meant that the round 3 match up, would be an all South African affair, as Tom and I would match up in our first man on man heat. Unfortunately the waves weren’t great, as the tide was full high and the waves were breaking about 10 meters from the sand. We managed to get a few waves and I lead up until a few minutes left, where Tom got the score he needed to advance through to round 4. 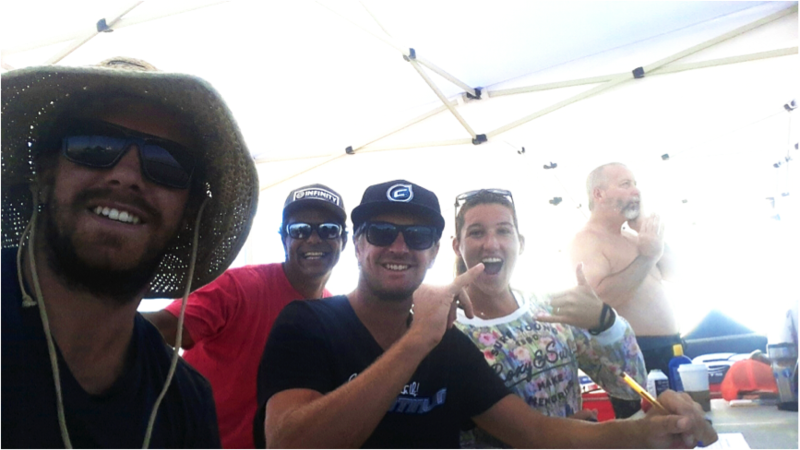 Guest judges at the Nkamakai youth SUP event. These kids were ripping! Fins freeing my round 3 heat on my Coreban Platinum. Poenaiki Raioha from Tahiti ended up taking the event win, with some high scoring waves in the final. He was definitely the stand out of the event and deserved winner as he was throwing his tail around with ease and power. Caio Vaz from Brazil was the overall winner and crowned the 2015 Stand Up World Tour champion, after placing 2nd in both 2013 and 2014. The ladies winner was once again Izzi Gomez who also secured her 2nd consecutive world title at Huntington Beach. It was decided at this event, that this would be the last event for the year on the Stand Up World Tour with big plans for the tour in 2016. 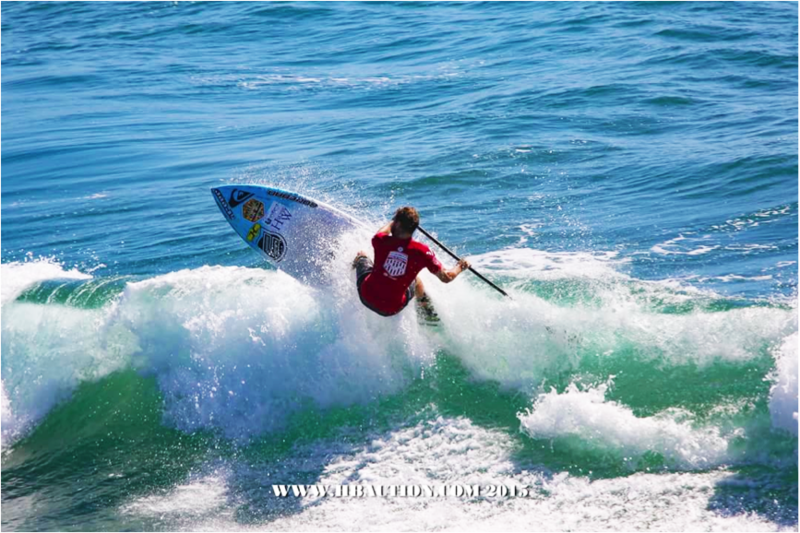 We’re off to the Pacific Paddle games at Dana Point, for what’s deemed to be the biggest SUP race of the year with huge prize money!